My best friend and I decided at about 6pm Wednesday night to have a little party for our daughter’s friends at school to kick off the summer. They only go to school Tuesdays and Thursdays so I had to bust out 15 invitations to give out to the class the next morning. 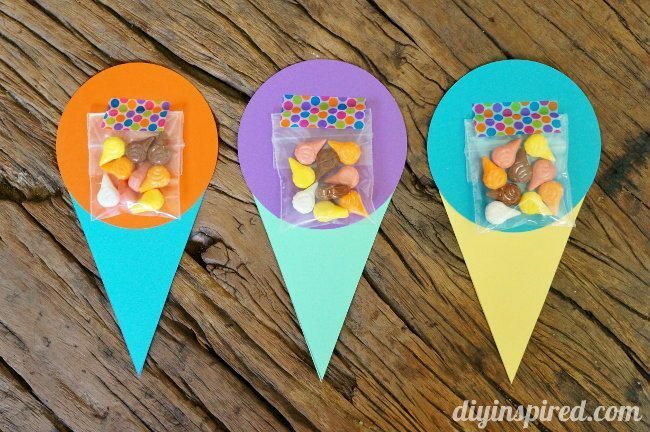 I ended up making these DIY Ice Cream Invitations. I made these the old school way with no machine because I didn’t have a lot of time. Here’s how I made them. 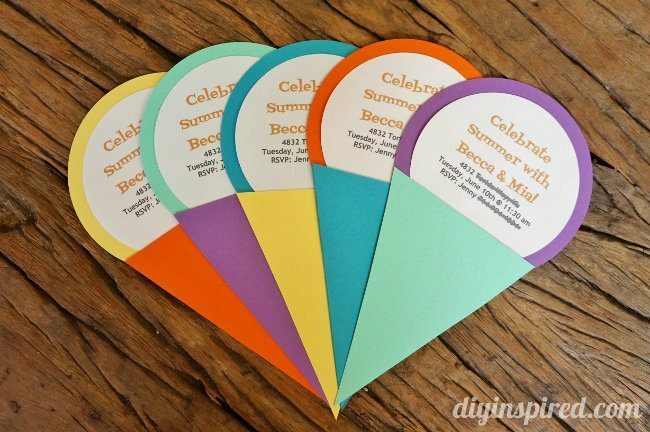 One piece of 8.5 X 11 cardstock will make three invitations; three 3.5 inch circles and three 3” wide X 4” long triangles. For the triangles I measured at 3”, 6”, and 9” and marked the edge with a pencil, and then 4” down at 1.5”, 4.5” and 7.5”. 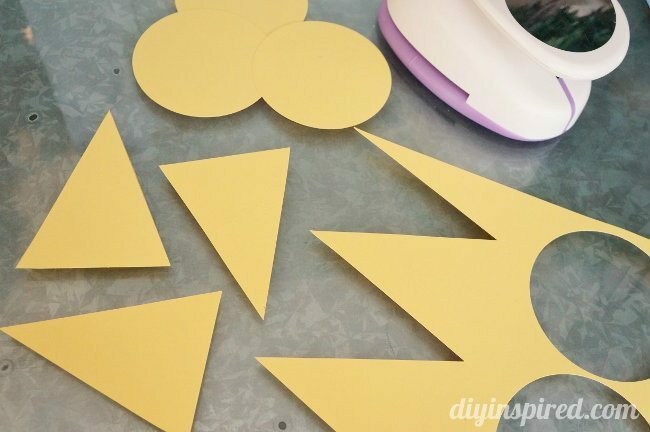 Then I used a ruler to draw the angles and cut them out. 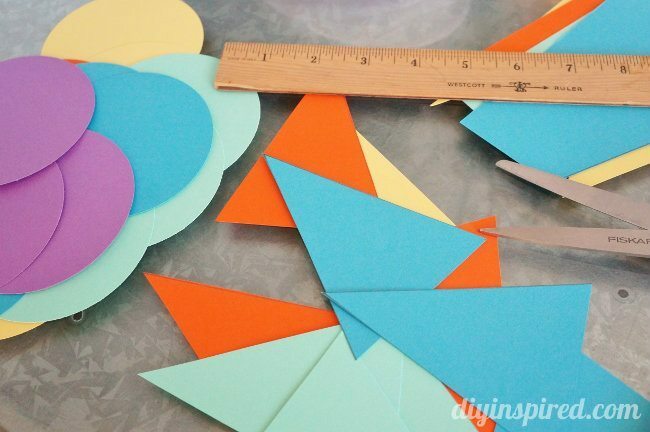 I cut out several different colors. On my computer I printed out the information and cut them out with a 3” circle cutter. I used double sided tape to assemble the invitation. On the back I put ice cream cone pressed candies from SweetWorks, Inc. in little plastic bags and used Washi Tape to attach them. There you have it! By the way, I made these invitations so quickly and I was so proud of myself. A few hours later at about 10pm, I realized I put the wrong date on them! Since I had to pass them out the next morning, I had to use a pen to write over the date…. Oh well!! 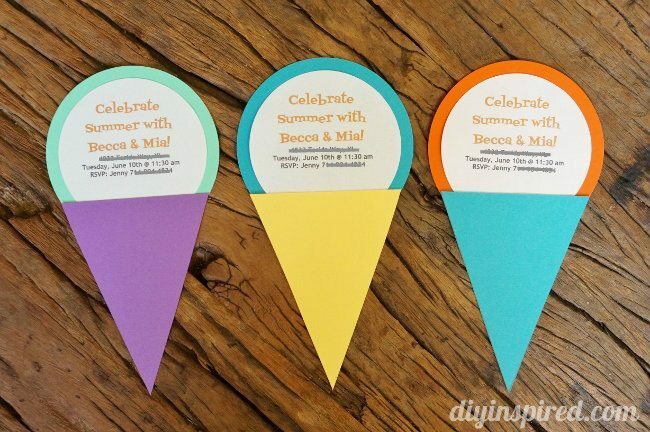 Be sure to check out the Summertime Party Favor Gift Idea and Printable I made that will go perfectly with these invites!